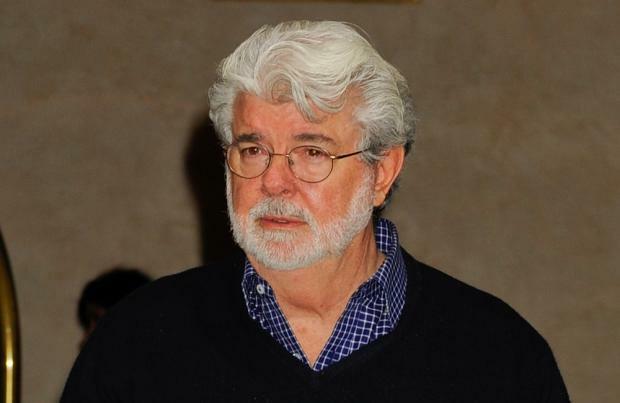 George Lucas' ideas for the new 'Star Wars' movie were ignored by Disney. The 70-year-old creator of the sci-fi franchise sold his production company, Lucasfilm, to Disney in 2012, and despite offering thoughts about the potential direction of the franchise, all of his ideas have been dismissed. Lucas explained to Cinema Blend: "The ones that I sold to Disney, they came up to the decision that they didn't really want to do those. So they made up their own. So it's not the ones that I originally wrote [on screen in Star Wars: The Force Awakens]." The director, who is also responsible for creating the 'Indiana Jones' franchise, recently admitted to being surprised by his own success. He said: "My motivation has always been just doing what I want to do and making a movie that I think will be interesting, and that's just been the way I've done it my whole life. "I never expected to be successful - it's just one of those things that happened. It happened that the stuff I like everybody else liked." Lucas also said that his biggest priority is caring for his 17-month-old daughter Everest with wife Mellody Hobson, rather than making films. He said: "By the time she's five, she'll have her own career going and being in school and talking about her friends and her homework. "The fun, goofy time will fall into place in reality, as opposed to right now, (when) she doesn't have much else to do but hang out with her father."